Linda Burton posting from Pierre, South Dakota – “Now you’ve got me curious,” Pat said. “I’m going to look it up.” Pat Feiock was manning the Corps of Engineers Visitor Center at Oahe Dam today. He’d been answering my questions about the Dam, till I got to this one, about a fact printed on one of their display boards: “If Oahe Dam is the 4th largest man-made reservoir in the US, what are the other three?” He knew Lake Sakakawea in North Dakota was 3rd; we both surmised that Lake Mead would be one of the larger ones. He turned on his computer and began to search. “Yes, Lake Mead is 1st,” he said. 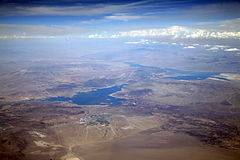 “And Lake Powell 2nd. But then,” he hesitated, “there are so many way to measure – acre-feet of water, miles of shoreline, size of the dam, production capacity. 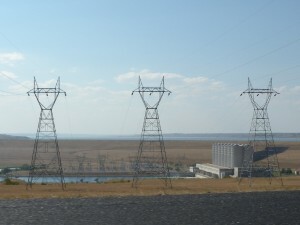 There are lots of things you can compare.” We chatted a little more; then Pat jotted down his number so I could set up an appointment for a tour of the power plant on another day; it was too late today. I said goodbye and stepped out in the 103-degree heat. 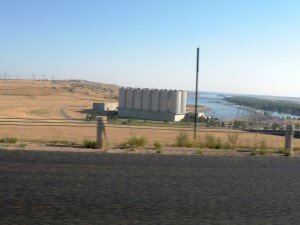 I meant to walk around outside; get some pictures of Lake Oahe and the power plant below the Dam. But it was too hot for walking; I wimped out for an air-conditioned drive instead. 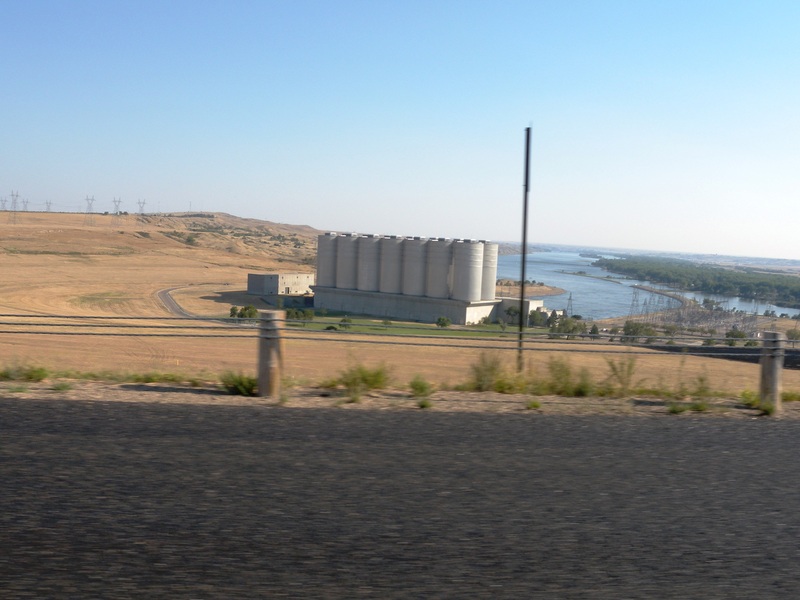 Into the Scion; across the Missouri River atop Oahe Dam, my eyes squinting in the glaring sun. Two lanes and no protective wall; it was too scary to look from such a height; I settled for poking my camera left and right and clicking the shutter button. Back in my air-conditioned room, I studied the haphazard pictures I’d taken, and thought about what Pat said – so many ways to compare. A little research turned up a lot of numbers. When it comes to acre-feet, that is, a measure of how much water is in the lake, Lake Mead leads the pack, with 28 million; Lake Powell 24 million; Lake Sakakawea 23.8 million; Lake Oahe 23.5 million. But, statistics show, due to droughts over the last few years, Lakes Mead and Powell have seldom been full. Hoover Dam, which backs up Lake Mead, and Glen Canyon Dam, which backs up Lake Powell, both are concrete gravity arch dams on the Colorado River. 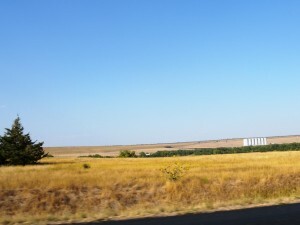 Garrison Dam, which backs up Lake Sakakawea, and Oahe Dam, (which backs up Lake Oahe, natch), both are rolled-earth dams on the Missouri, so comparisons of height and length are nothing more than an exercise in apples and oranges. 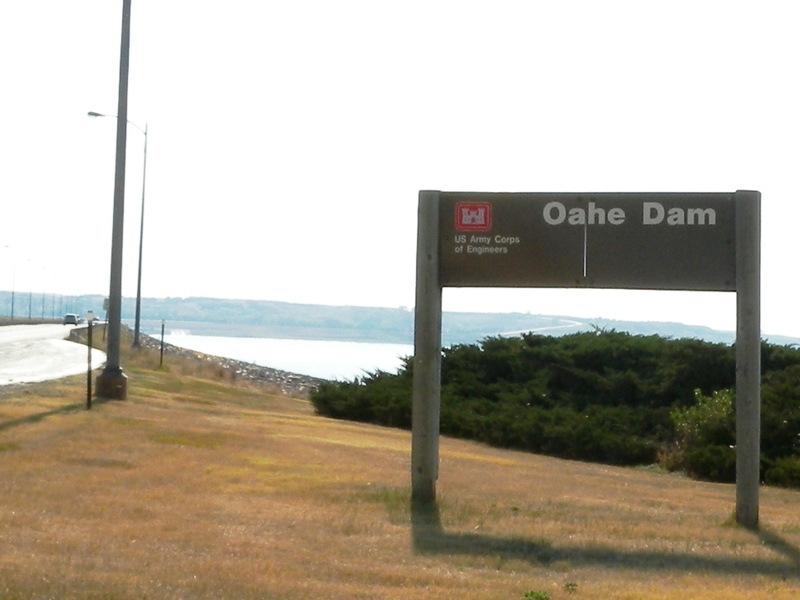 What is interesting to compare is the shoreline of each lake, and Lake Oahe is #1 here, with 2,250 miles of shoreline, more than the state of California! (Lake Sakakawea has 1,900 miles of shoreline, Lake Powell 1,320, Lake Mead 1,244.) 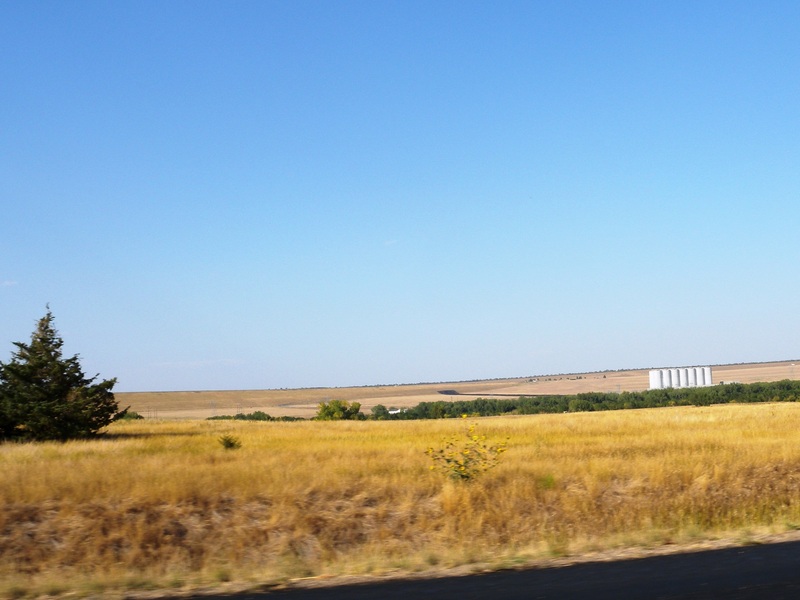 Lake Oahe takes up lots of space in South Dakota; North Dakota too; it stretches for 231 miles from Oahe Dam near Pierre all the way to Bismarck. It is “big water,” with a maximum depth of 205 feet. Oahe Dam takes its name from the Oahe Indian Mission established among the Lakota Sioux Indians in 1874. 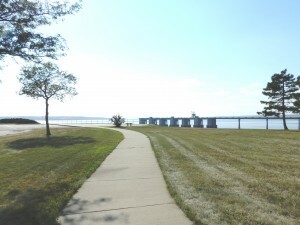 Construction started in 1948 with the relocation of towns, roads, and bridges that would be flooded by creation of the reservoir. Work on the 9,300-foot-long, rolled-earth dam then proceeded, with closure taking place in 1958. The first official filling was achieved in April 1962; President John F Kennedy came for the dedication. 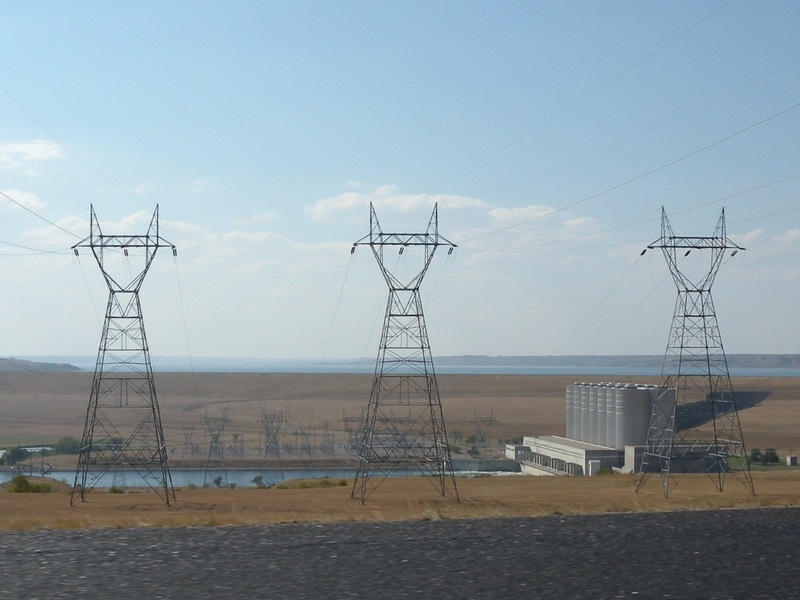 All seven generators in the powerhouse were online in 1963; each turbine generates 112,290 kilowatts of power. 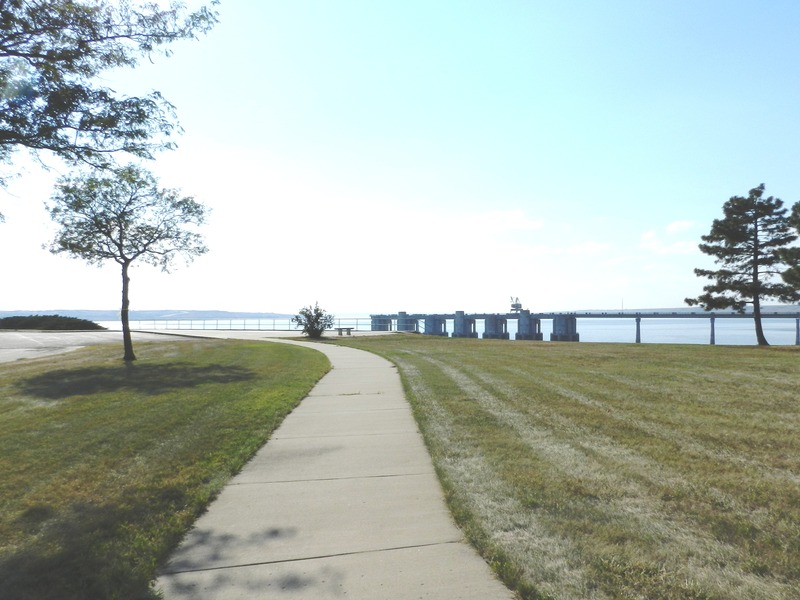 Built for flood control, power generation, irrigation, and navigation, the Dam is maintained by the US Army Corps of Engineers. What a shame it was so hot. I’m going back to see more of this interesting dam on a cooler day.